Yesterday, I wrote my very first check as a business owner. I felt so proud and grateful at the same time! The only thing that would have made the experience better is if Tessa and I had run into her future family while we were out walking. The money, of course, was proceeds from Beer Paws – the new little business that you all have been helping to support through purchases and by spreading the word. Tessa and I both thank you! She seems to be doing OK, by the way. I think she has put on a little weight, and her sensitive blue velvet coat is in good condition. Although Miss Tessa so far doesn’t seem too great around other dogs, I think she will blossom into a wonderful companion for someone. She’s very excited about meeting new people. And in my experience, she is neither afraid nor dominant with humans. She is rather independent, but I think she just needs a chance to bond with a person of her own. 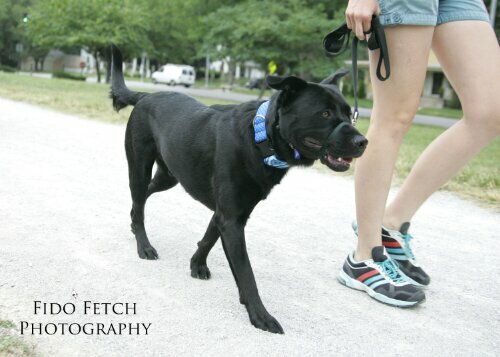 While I cannot adopt Tessa, I will continue to do what I can to help her and dogs like her, through this blog, direct action like walking her and through the Beer Paws brand. 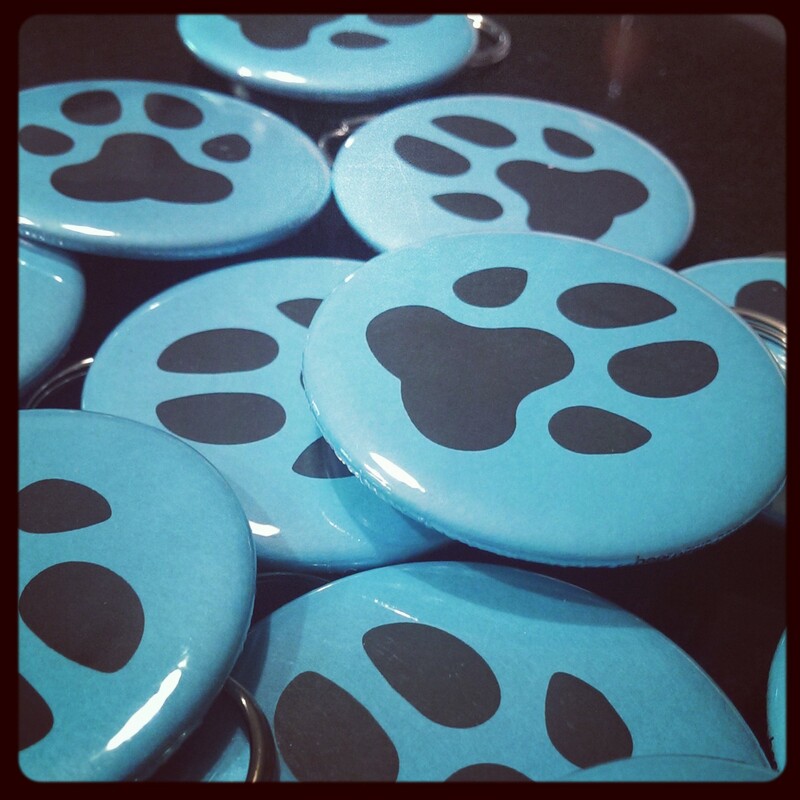 This past weekend, I added a new product to the line – turquoise bottle openers for collars and leashes. As always, a portion of every sale will go towards animal rescue. However, to keep the bookkeeping easy as the Beer Paws brand continues to grow, I’m shifting the donation from a dollar amount to a percentage – 10 percent, to be exact. So, every time you buy something from Beer Paws, one-tenth of your purchase price will be designated to help an animal rescue organization like Midwest Adopt-a-Bull and dogs like Tessa. 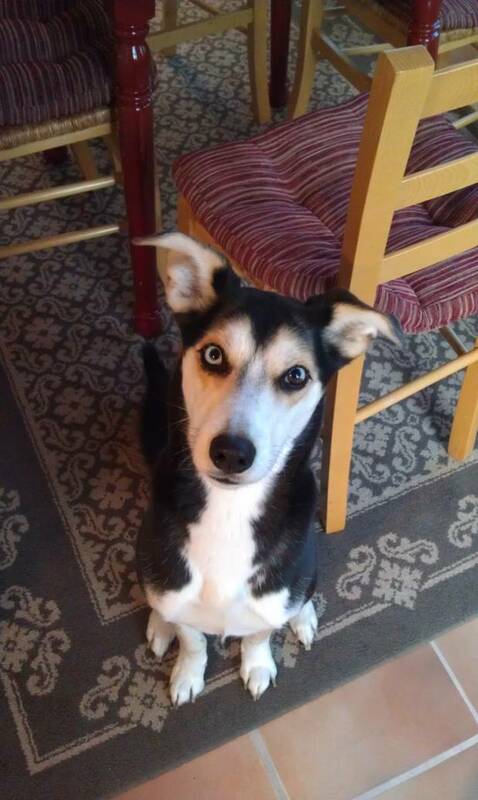 Stay tuned for announcements of more Beer Paws products – and, of course, updates about beautiful Miss Tessa. Congratulations to the winner of the Beer Paws giveaway – Emily from Adventures of a Dog Mom! 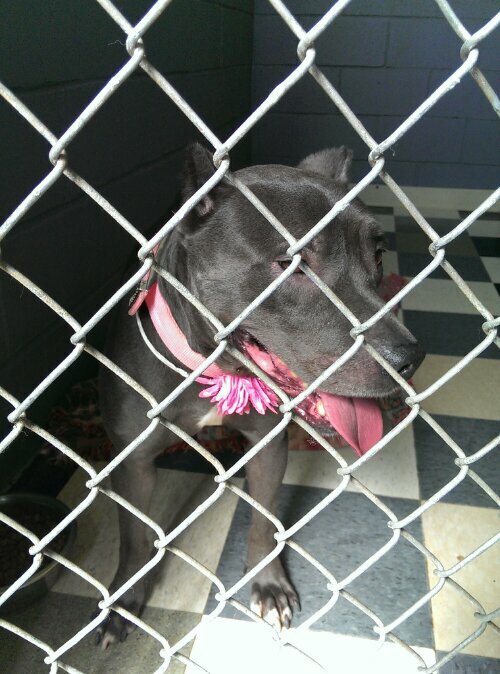 This pretty little pittie girl used to live in unsavory circumstances in a house full of dogs. Then, she ended up on death row. 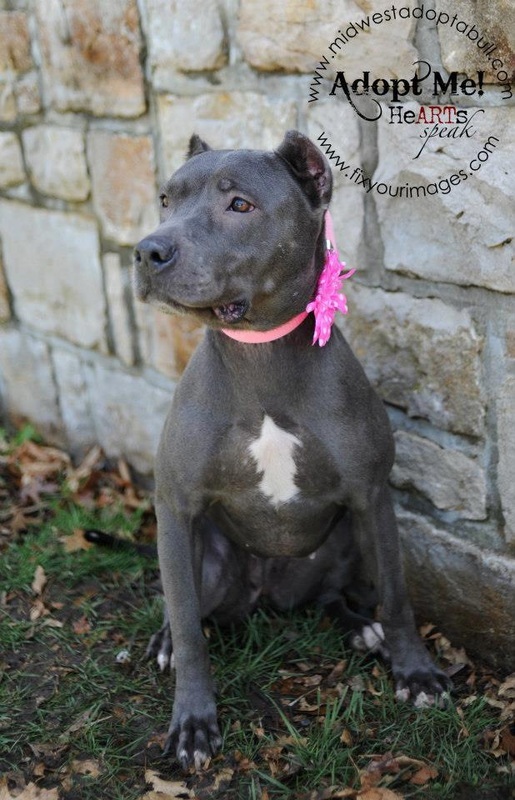 Lucky for her, Midwest Adopt-a-Bull recently saved her. 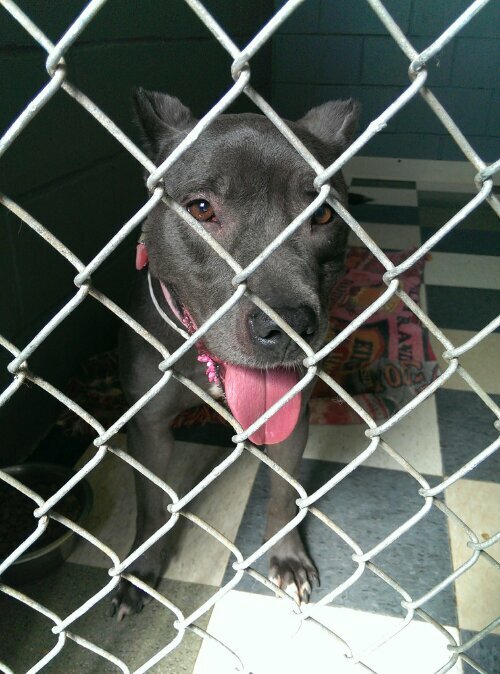 However, her foster home didn’t work out, and now blue Tessa is back to living in a cage. Until we can find her a new foster or forever home, Tessa is in boarding at A Dog’s Fun Playce, a rescue center and doggy daycare in my neighborhood. Her accommodations aren’t bad, but she sure was happy to get out over the weekend when I stopped by. Although we had never met before, Tessa greeted me with a kiss before dragging me out of the shelter. 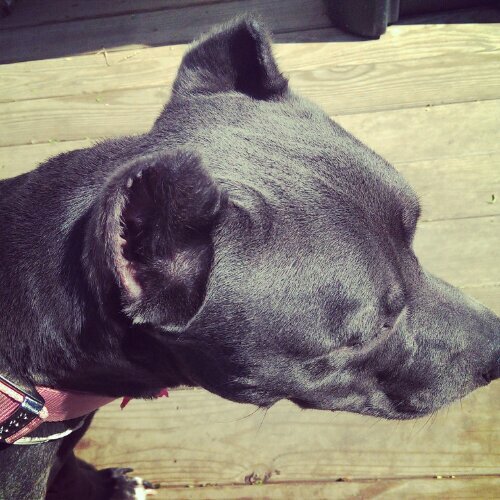 She’s a pocket pittie at just about 45 pounds, but Tessa is pure muscle, and she’s not yet used to walking on a leash. For the first half an hour, she pulled like a sled dog, but as she got tired, she walked more politely. I know with more practice, she will be a great walking or jogging companion. My most important discovery about Tessa is that she’s not afraid of people. In fact, she likes them a lot and even gave kisses to two of my neighbors. People like Tessa, too. Her silvery blue velvet coat garnered many compliments during my outing with her. I plan on seeing Tessa again this week. In the meantime, I am hoping to do some things to improve her current situation, such as bringing her Kongs and bones. 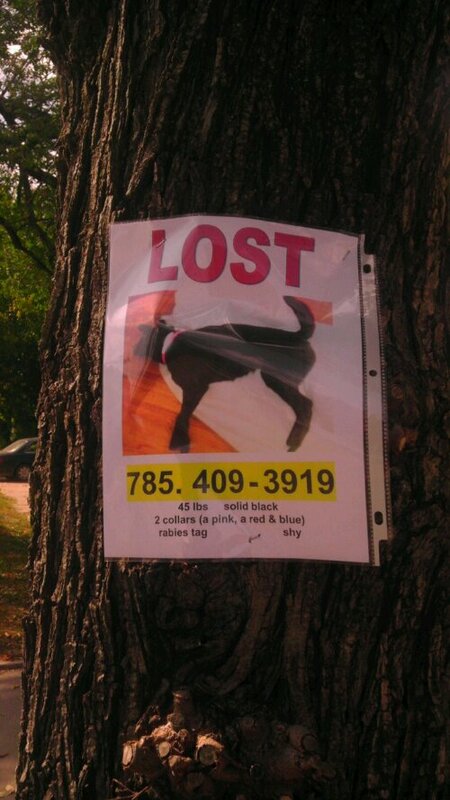 You can help Tessa, too. 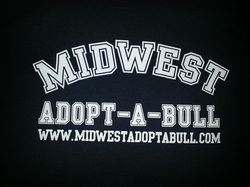 Please consider making a donation in her name to Midwest Adopt-a-Bull, whose tiny budget is being stretched to the limit by the cost of her boarding. If you would like to get something tangible in exchange for your giving, you can also buy a Beer Paws bottle opener from my Storenvy shop. 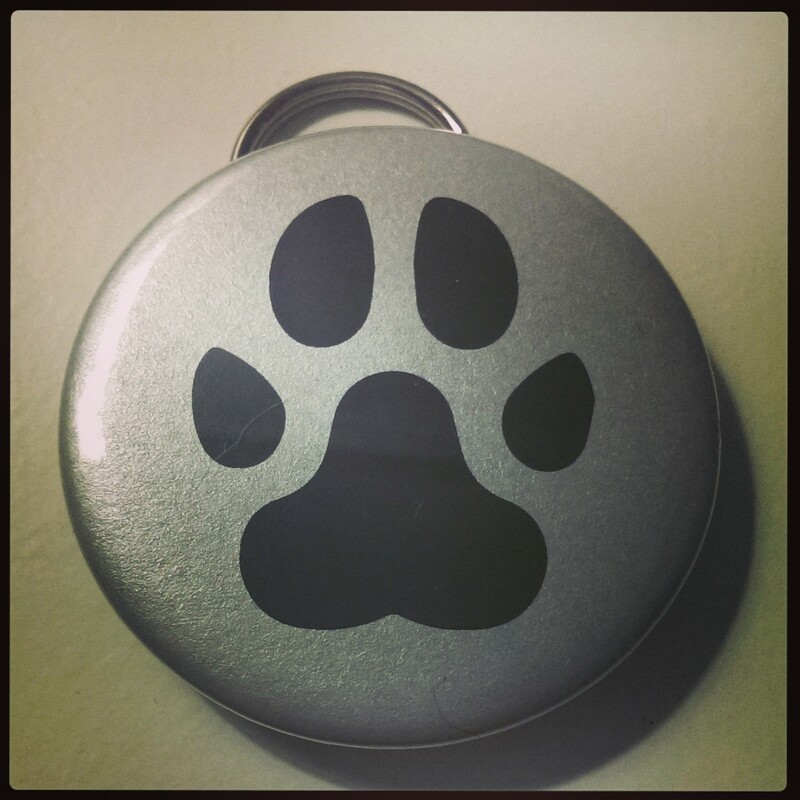 These button style bottle openers look great on your dog’s collar, at the end of a leash or on your own bag or keys. They’re even silver, like Tessa. Until further notice, at least $1 from each Beer Paws sale will go directly toward Tessa’s care. Order online today, and I will personally send you a Beer Paw! Frankie is looking for a home of his own. This is Frankie. If he lived with me, I would call him Frank the Tank. I had the pleasure of making Frankie’s acquaintance during the recent Dogs on the Lawn event at the Nelson-Atkins Museum of Art. He was hanging out with the puppies and mama dog who are also currently available for adoption through Midwest Adopt-a-Bull. Of course, it’s impossible to resist adorable, fat puppies, but I have to say Frankie was my favorite dog to spend time with that day. He’s a big guy with a kind face, and as I jogged him across the museum lawn at the end of the day, it occurred to me that Frankie would make one heck of a jogging partner. 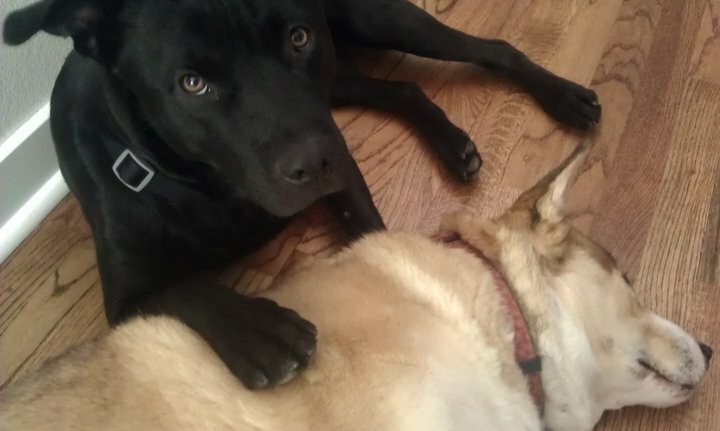 Currently, Frankie lives in a foster home with multiple dogs and a toddler. 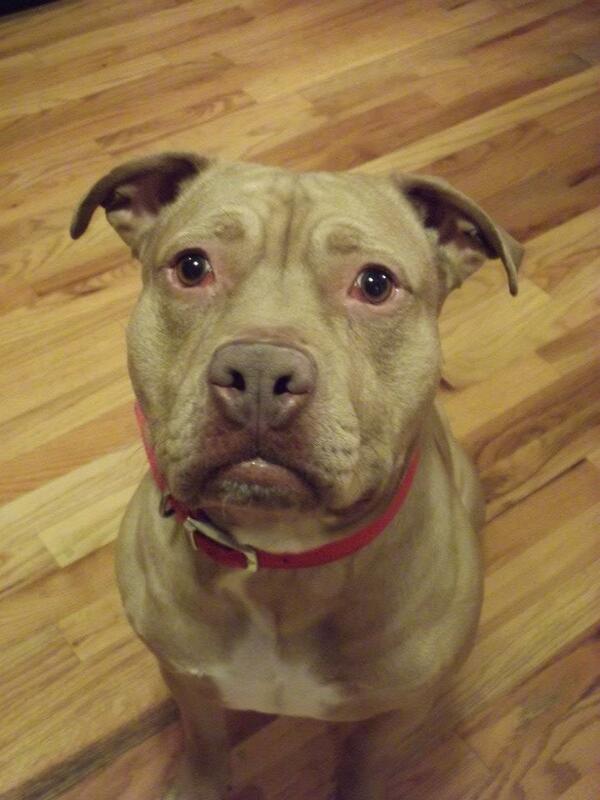 His foster mama says he loves children and that he would do best as an only dog or with a submissive female. He originally came to Midwest Adopt-a-Bull from North Dakota with his sister. She has found her forever home, but Frankie is still looking. Do you know someone who would like to make this big, sweet boy their own? Please share Frankie’s story with your social networks! Interested parties can learn more about him at MidwestAdoptaBull.com. Don’t be fooled by that headline. I did not take any of my dogs to the museum. But on Saturday, a lot of Kansas City folks did – well, they went at least as far as the the museum lawn. 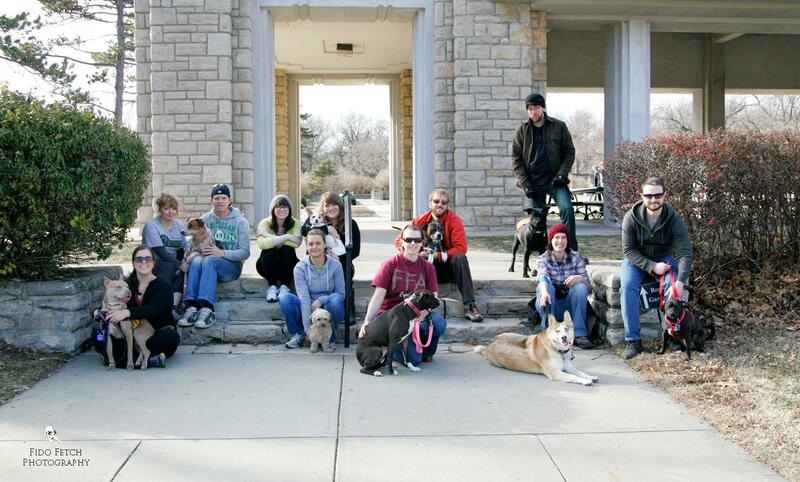 Dogs on the Lawn was a first time event hosted by the Nelson-Atkins Museum of Art. Festivities included paws-on art projects, DIY dog apparel decoration and a few pet-friendly vendors including Kansas City’s brand new food truck for dogs. 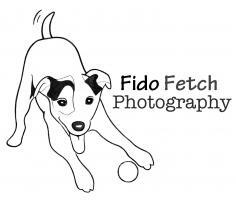 People with dogs got to participate in paw painting – finger painting for dogs. The results were very colorful and abstract, but all the pet parents seemed proud. 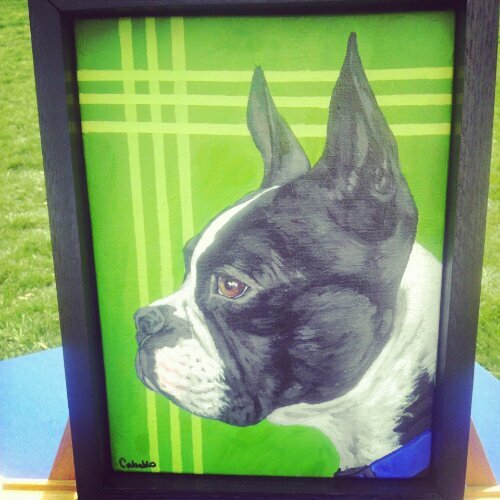 Those interested in more serious art inspired by their animals could order a custom portrait from Ashley Corbello, a local artist who specializes in pet paintings. I decided I would like Ashley to immortalize Scooby the elderpin in a painting sometime soon. But in the meantime, I headed to the DIY screen print area, where local art students were helping folks customize cloth accessories for their pets. 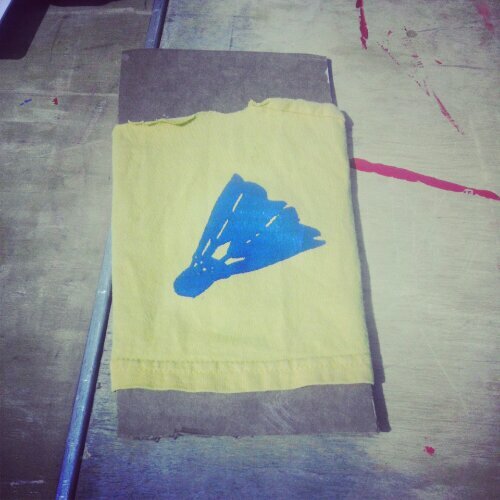 With the yellow dog project in mind, I chose a fabric scrap that I thought might work as a t-shirt for Scooby. For decoration, I chose the shuttlecock, which is a nod to the famous sculpture that lives on the Nelson-Atkins lawn. The real reason I came to Dogs on the Lawn, however, was to play with the puppies help at the Midwest Adopt-a-Bull table. The group currently has five adorable pit mix puppies available for adoption. Three of them attended this event, along with their mama and another adoptable adult male. Two of five pit bull mix puppies now available for adoption. The coolest thing I discovered at Dogs on the Lawn was Kansas City’s first food truck for dogs. 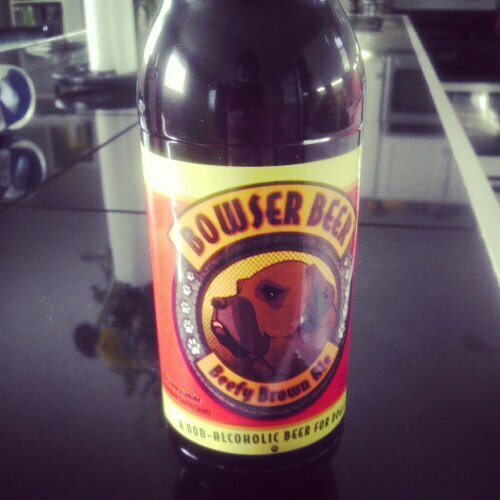 Good Dog 2 Go serves homemade, grain-free treats (which the puppies loved) and Bowser Beer, a non-alcoholic beverage for dogs that is made on the West coast. 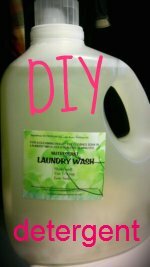 I grabbed a bottle for the boys at home! Come back tomorrow to see how they liked the brew! 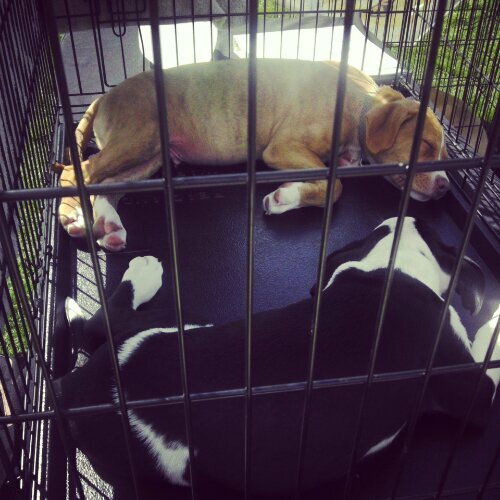 Although we missed each other, Our Waldo Bungie’s Emily and adoptable Moby the Wonderdog also attended Dogs on the Lawn. Check out the post here. 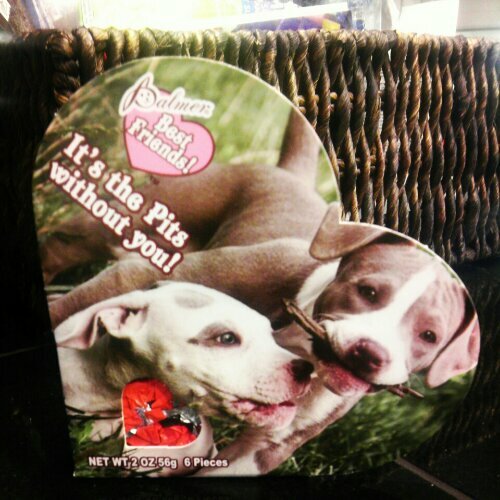 Looking for the perfect box of chocolates for your favorite pit bull lover? R.M. Palmer Company has you covered. Apparently, the candy company’s Valentine’s Day series of Best Friends Heart Boxes also features several other breeds. But anyone who has spent any time defending pit bulls understands how awesome it is when the breed is featured commercially, in a positive light. I received my Palmer’s chocolates last night from PJ the pit bull activist during a fundraiser for her organization MOSH Pit KC. According to the Palmer’s Facebook page, you can find all varieties of the Best Friends Heart Boxes at major retailers including Walgreens, Shopko, Kroger and more. Have you received any valentines yet? Valentine’s Day is just two days away. Have you checked out the great ideas in my gift guide for dog lovers? Yesterday, as I was filling old pickle jars with the cookie ingredients to make cute DIY holiday gifts, Zach yelled to me from the other room. Beyond the Myth is a documentary for all pit bull advocates dog lovers. Through research, statistical analysis and real life stories, the film takes an honest look at breed specific legislation, and how it can cause more pain than it heals – for families, innocent dogs and even dog bite victims. For example, did you know that in some communities with BSL if someone is bitten by a “pit bull dog,” that animal may be destroyed. However, if the biter is some other breed of dog, the animal may only be confined to a few days of confinement? That’s not fair to the dogs or anyone unfortunate enough to get bitten. My eyes misted over several times during this movie, and at the end of it, we hugged all the dogs who live with us, and especially mystery mutt Charlie “Chetty” Machete. Although Beyond the Myth was preaching to the choir in our living room, I do believe this film is compelling enough to change hearts and minds through its presentation of the truth about pit bulls. If you haven’t seen Beyond the Myth, I urge you to check it out. It is now available on Netflix, but you can also purchase your own copy or even sign up to host a screening through beyondthemythmovie.com. “What are you?” I ask it. 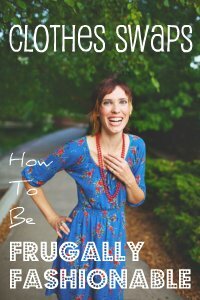 I cup my palms on the chiseled cheekbones and gently tug on the excess skin around the thick neck and jaw. I pull the ears into a bat-like erect state. I trace the little wrinkle along the top of the skull, which reminds me of my childhood dog Prowler. Then, I run my hands through the fur. It’s velvety soft all over, but the length and density vary. On the face, the hairs are short and thick. From the nape of the neck, the black threads grow longer, maxing out at about two inches around the shoulder blades and coming in slightly shorter and less densely all the way to the tip of the tail. There is not a single white or brown patch anywhere. The body itself is lean, long and athletic. The chest does not protrude. There is webbing between the toes. Friendly licks are delivered by a pink-and-black speckled tongue. I can see a lot of things in this dog. Charlie Machete reminds me of a Rottweiler, a Chow and sometimes even a Shar Pei. 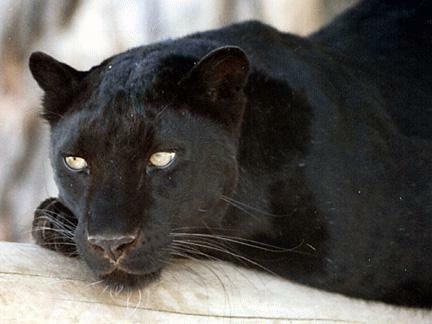 I also think he looks a bit like a panther. 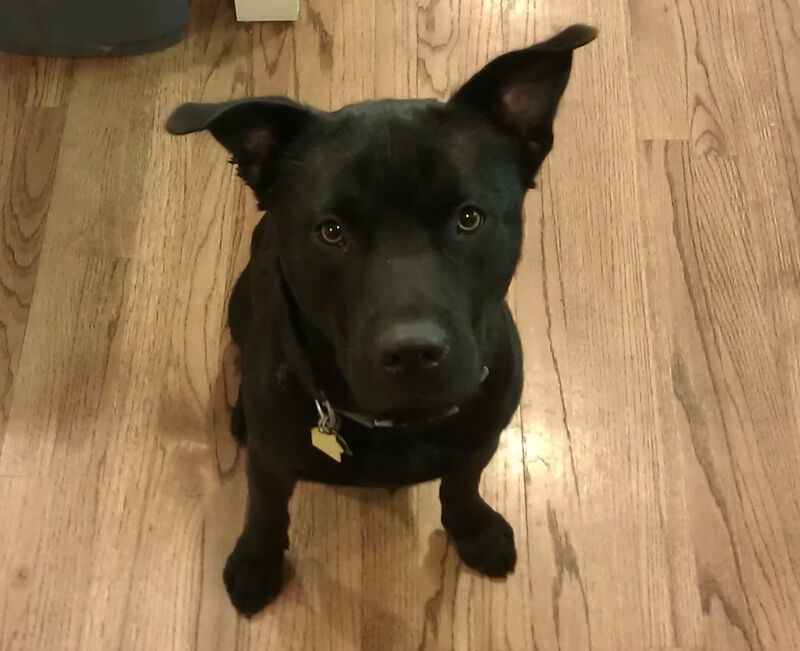 Mostly, when I look at my foster dog, I see a black Labrador retriever + something with a square head and a lot of love to give. One thing is for sure: Identifying dogs based on looks alone is a tricky business, and it can have dire consequences for mislabeled animals in areas that ban certain breeds. 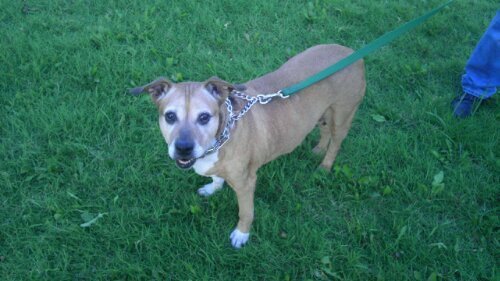 For more on this topic, check out the “Misjudging Mixed Breeds” article at StubbyDog.org. While you’re there, be sure to look at the picture of Rocky, who was listed as a pit bull mix but whose DNA test revealed a mix of 10 breeds, none of them bully. We might get Charlie Machete DNA tested someday. But no matter the results, he will always be the same thing: a dog. 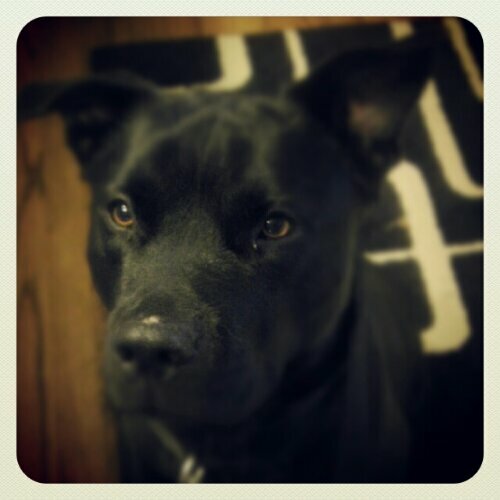 If you or someone you know is interested in adopting Charlie Machete, check out his Midwest Adopt-a-Bull profile. Share a story about your favorite mutt in the comments! 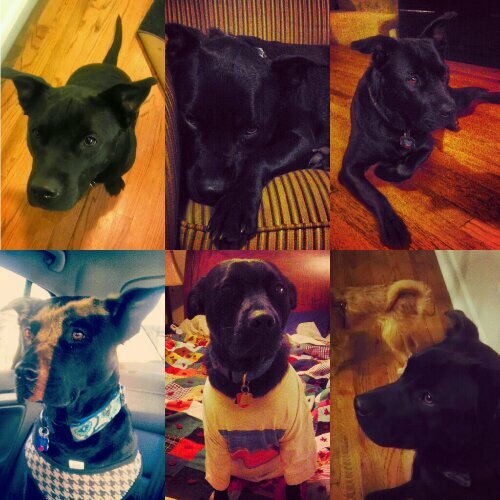 Tags: adoptable black lab mix in Kansas City, animals, black dog mix, breed ban, breed specific legislation, dog that looks like a panther, mysterious breed mix, what is my dog? Not my jack o’lantern, but an awesome one! Everybody loves to see a dog in a costume. But we went simple with the Halloween outfits this year. Scooby put on his “monster” coat. There’s a skull and crossbones. It’s festive. With the right Instagram filter, an old dog’s face can look less gray. Foster boy Charlie Machete pretended to be A Guy Who Likes 90s Music. Surprisingly, he didn’t mind that old Red Hot Chili Peppers shirt at all. I put it on him last night for the photo shoot, and then he slept in it until morning. 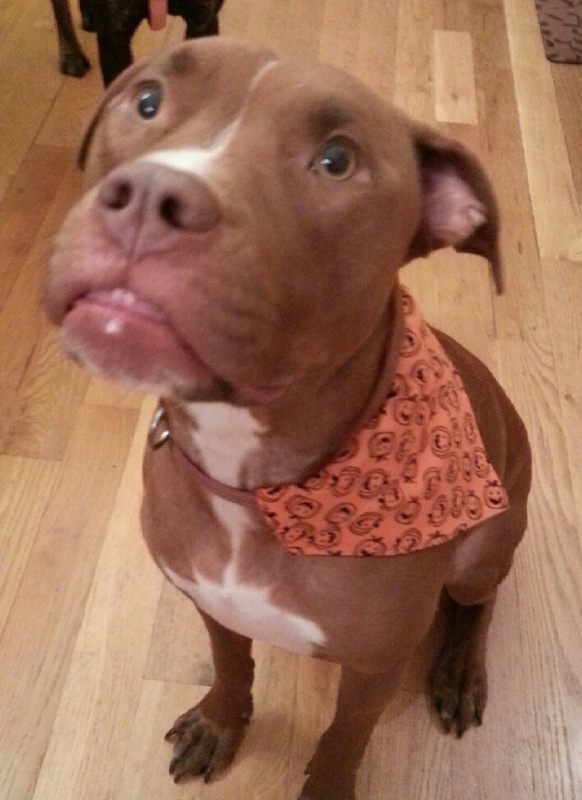 Some other Midwest Adopt-a-Bull dogs are getting into the Halloween spirit, too. Remember Angel? 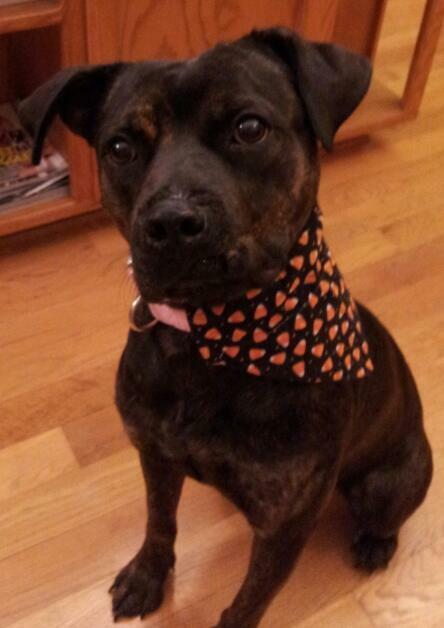 She survived scary life on the streets, but now she’s looking good in a candy corn bandana. Life is much sweeter now. 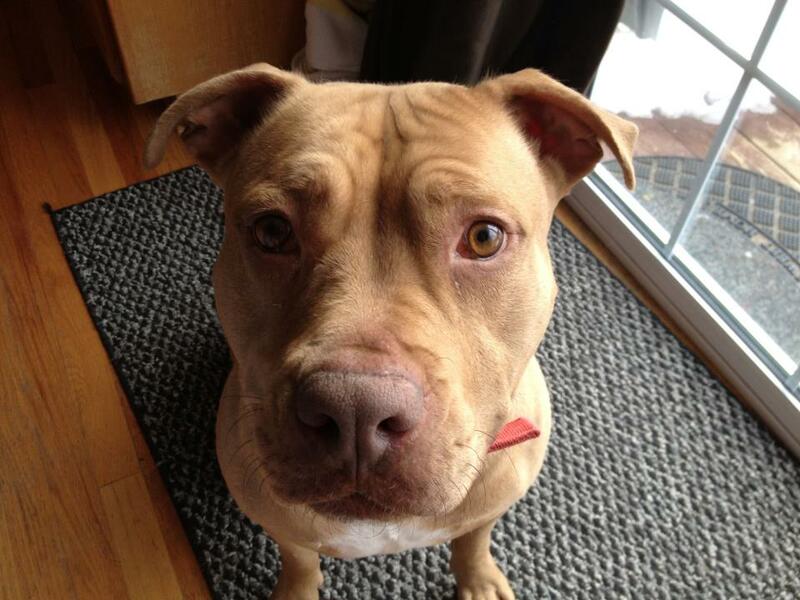 Check out Angel (aka Ariel)’s adoptable profile. Happy holiday, everyone! I hope it’s a safe one that involves many treats for you and your pets! What are your Halloween plans? 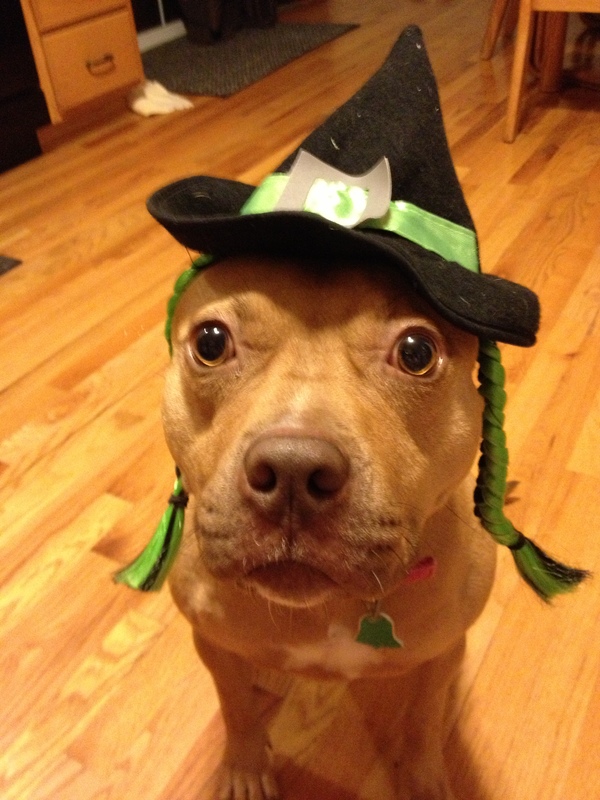 If they involve dressing up your dog, feel free to share a pic on the Wayward Dogs fanpage on Facebook! After the bully breed-centric whirlwind of last weekend, I needed a break. I knew I would, and that’s why I not only took yesterday off from blogging but also from work. It was glorious. I jogged the dogs. I walked the dogs. And I spent a good deal of time talking dogs. And all day, I wore the awesome new necklace I bought at Madewell. My mom gets the credit for spotting the totally relevant piece of jewelry (and the matching earrings!) that was randomly available during Fashion-a-Bull Fall at Madewell, the Midwest Adopt-a-Bull fundraiser Katty Delux and I hosted at the Leawood, Kansas, store last Sunday. Although we didn’t quite hit the lofty $500 goal I set, by the end of the day, we tallied over $300 in cash and checks. I’d say that’s not too shabby. The money will help replenish funds spent over the past few days to help Tracy, a dog who is suffering complications from her recent leg amputation. Although no Midwest Adopt-a-Bull dogs attended the event, a little pack of poodle mixes and Romeo, an adoptable shepherd mix, posted up outside the store with representatives from Kennel Creek Pet Resort. 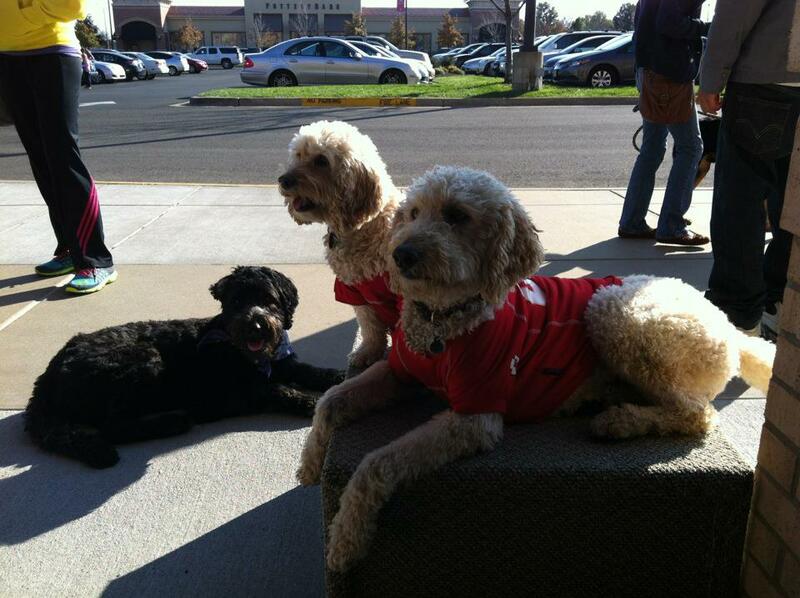 The very obedient Chalmer, Willow and Reilly. Photo by Kemberley Elliott. We were lucky that the weather was great. 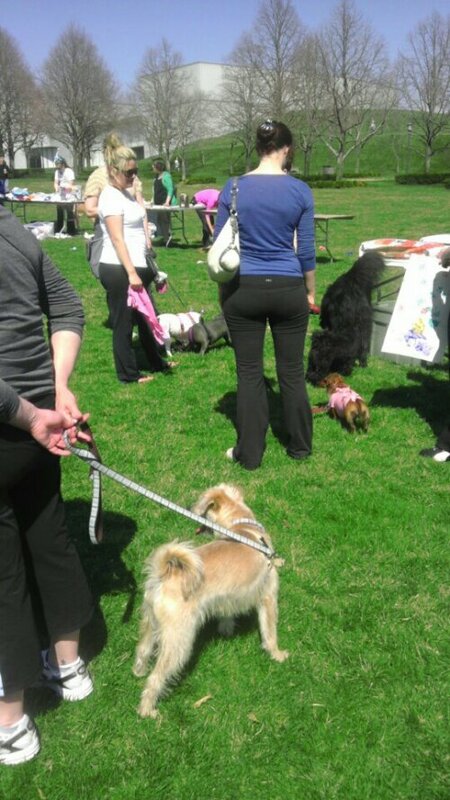 And as I expected, having the dogs at the entrance drew a lot of attention and resulted in more raffle ticket sales. I have to credit where it’s due, though. 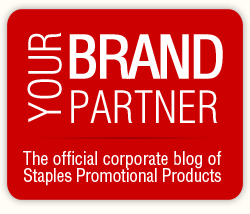 My colleagues at Staples Promotional Products really ponied up for this cause. Between those who bought raffle tickets in advance and those who came to the actual event, my coworkers contributed over $100 to Midwest Adopt-a-Bull. As a result, I’m taking three of the prize packages we drew for to some lucky Staples friends tomorrow. Big thanks also goes to my non-work friends, family members and businesses who showed support through their attendance, benjamins and prizes. Of course, Madewell gets mad props for hosting. I couldn’t be more grateful to Katty for helping me coordinate the event and rounding up tons of lovely prize donation. 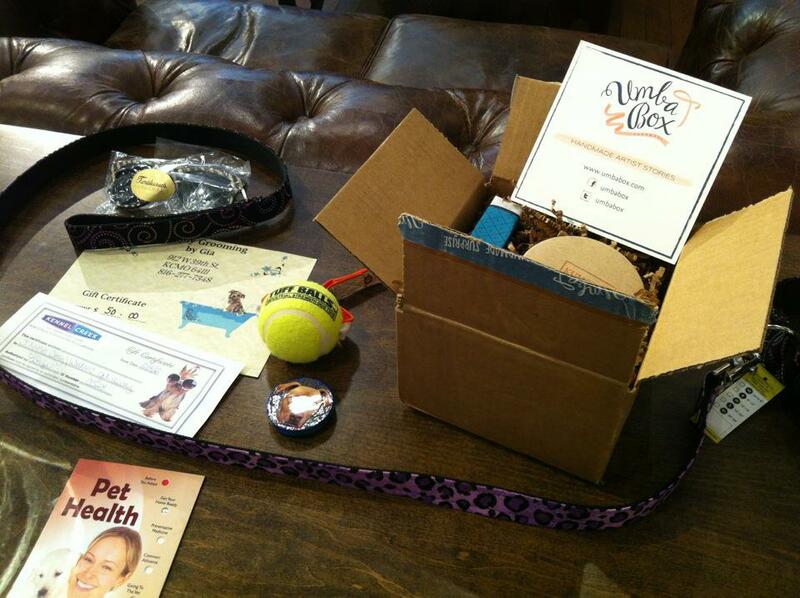 Goodies from Waggiwear, Umba Box, Kennel Creek Pet Resort, Simply Grooming by Gia, artist Kathleen Henn, Tumbleweeds and YourBrandPartner.com. Photo by Kemberley Elliott. As it turns out, the pin-up and the crazy dog lady make a darn good team (even though we totally failed to get a photo of ourselves together). My appreciation extends as well to my wonderful blog readers who have commented, shared and put up with my relentless promotion of this event over the past couple of weeks. I do hope you enjoyed the posts, but I do promise to cover some different topics and stop begging you for money – at least for a little while. We’ll start tomorrow, with something Halloweenie. Polly Pocket the Fairy Bull. Photo courtesy Our Waldo Bungie. The Most Fashion-a-Bull award of the day went to Polly Pocket. Our Waldo Bungie‘s foster dog made a special appearance. 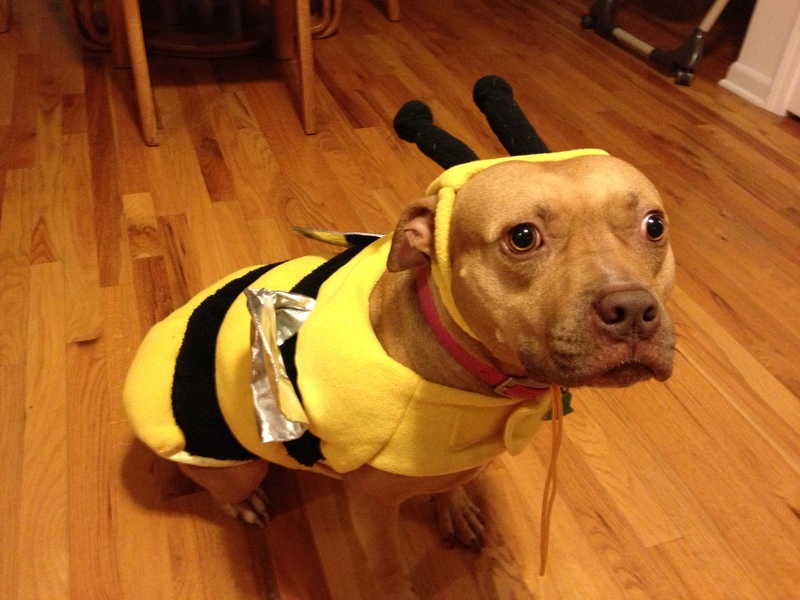 There is breed specific legislation against pit bulls in Leawood, and while we can’t know for sure what Polly is without a DNA test, the boxer-and-maybe-pittie mix played it safe and festive by wearing a disguise her Halloween costume. 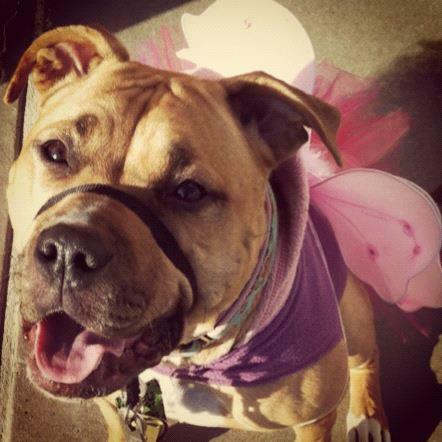 If Polly the adora-bull fairy dog looks like someone you want to add to your family, check out her Petfinder profile! What’s your dog going to be for Halloween?